Maternity clothing gets such a bad reputation for providing shapeless, trend-less, and overall unflattering selection of clothing for the women who wear them. While this isn’t completely unfounded, we’ve found that more often than not, it’s all about where you shop. To that end, we spoke with maternity shopping destination Tilden about hunting down the perfect denim. While the retailer does carry maternity denim, the brand says it feels “like it’s the only category that doesn’t have a viable workaround come late second and third trimester for moms,” but it's working on fixing that. 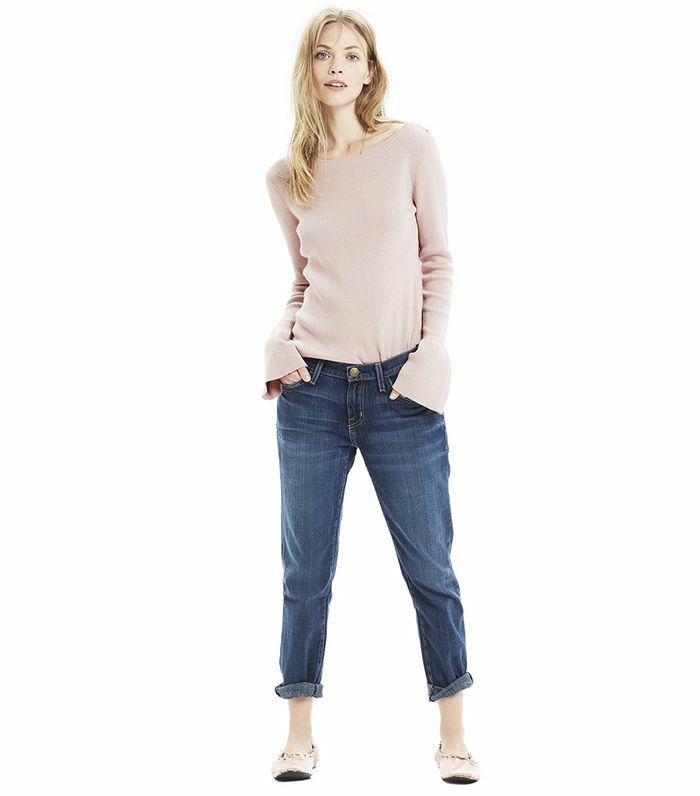 “While 100% of moms we surveyed expressed varying degrees of dissatisfaction with their maternity wear broadly (ranging from ‘necessary evil’ to ‘wanted to burn it’), over 90% of them reported buying maternity denim by their third trimester, with the majority converting in month five,” says Tilden. 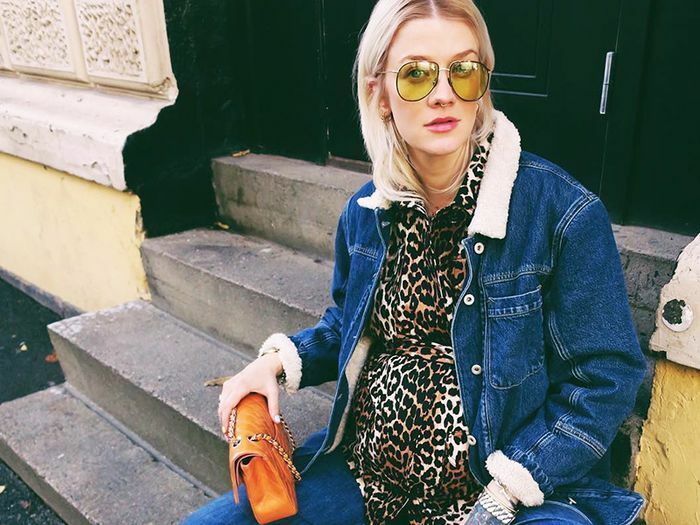 Especially for expectant mothers who approach pregnancy style in less literal ways, denim is continually the one item that proves to be a necessity at some point during the pregnancy. From the coolest boyfriend jeans to trend-forward cropped flare pairs, this is our definitive guide to the denim you’ll wear during these special nine months (and possibly after). Keep reading to shop the best maternity jeans on the internet right now. Stylist Angela Fink says she only owned two traditionally maternity-specific pieces throughout her pregnancy, which both happened to be from the Current/Elliott collaboration with Hatch. Every stylish mother knows that a pair of boyfriend jeans is a comfortable must. The full panel will be so key for the latter months of your pregnancy. Go for a dark wash that will always look polished. These jeans are dubbed "Skyline" because they make your legs look miles long. Yes, you can still wear white jeans during your pregnancy. Here's how. Cropped denim flares make any look a touch more forward. Swap these in place of your go-to skinny jeans while expecting. Because you can never have too many black jeans. The step hem on this pair looks perfect with a classic heel. Your favorite store for basics is also a major destination for maternity clothing. The perfect pair of everyday jeans. The frayed edge adds a cool edge to any look. Madewell's denim is a personal favorite. The 2% elastane stretch in these jeans is key. This cropped pair is the perfect way to showcase your shoes.